– This was one of the boldest predictions that was made during the latest Gartner’s Customer 360 summit. These numbers are huge enough to send shivers down the spines of majority of customer support executives! As futuristic as it sounds, this prediction is not something that should be written off and some very careful consideration should be given before jumping the gun. So, to get you up to speed, we have put together everything that you need to know about the need for marrying Artificial Intelligence (AI) with your existing customer support system. As an add on, we have also mentioned the many ways in which AI based systems are currently used to deliver support along with some real-life examples. Why AI + Customer Support? Marrying AI with your customer support system is one of the easiest ways to increase the speed and accuracy of customer support. For instance, earlier customer service agents had to go through numerous databases to mine for relevant customer information and process it while on a call. Now, instead of opening multiple screes and trying to mine relevant information simultaneously, the customer service agents can work with artificial intelligence platforms. They simply need to type or utter the search terms, and the AI platform working in the back-ground will do the tedious task of tracing and sharing the required information with the relevant person. This process greatly increases the speed and accuracy of information gathering. Artificially intelligent system can be used as a back-up for supporting tickets and can be modified for handling and filtering redundant queries. This way only those queries that require deeper understanding will be escalated to the most qualified support agents. This way companies will be able to handle more customers, without the need of adding more resources, even in case of peak hours. AI system is something that learns from data and structures its response accordingly. And the more information that is fed into the system the better it gets. 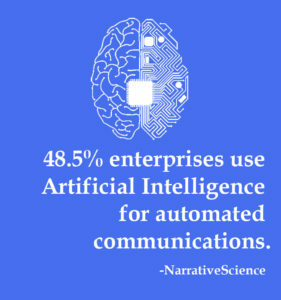 Companies can use this fact to their advantage by feeding the huge cache of structured and unstructured customer data that they have collected over the years into the intelligent system, thereby providing the ‘knowledge base’ necessary for the machine to learn, recognise patterns and better handle customer issues. At a time when most businesses are breaking boundaries and serving increasing number of customers from across geographies, it has become imperative from them to provide support in different languages. But, it is necessary possible to meet this demand? Certainly ‘not,’ say experts. As per them, it is nearly impossible for companies to set up a customer care center that is capable of handling queries in the various languages preferred by customers. However, this requirement can easily be met by a machine, as unlike a human, these intelligent systems can easily pick-up multiple languages and provide support in the language that the customer desires. AI powered ticket management system can be moulded to help your support center respond to frequently asked questions raised through tickets as well as social medical channels such as Facebook, LinkedIn, Twitter and so on. It does so by fetching and analysing content on your website and uses the same resource to respond to bulk emails. How AI Is Currently Being Used in Providing Customer Support? These are intelligent conversation agents that leverage AI and Natural Language Processing (NLP) to handle a wide variety of customer support queries. They can either be deployed on the company’s own websites and apps, or on popular messaging apps such as Hipchat, Kik, Slack and Facebook Messenger, or via SMS’s. 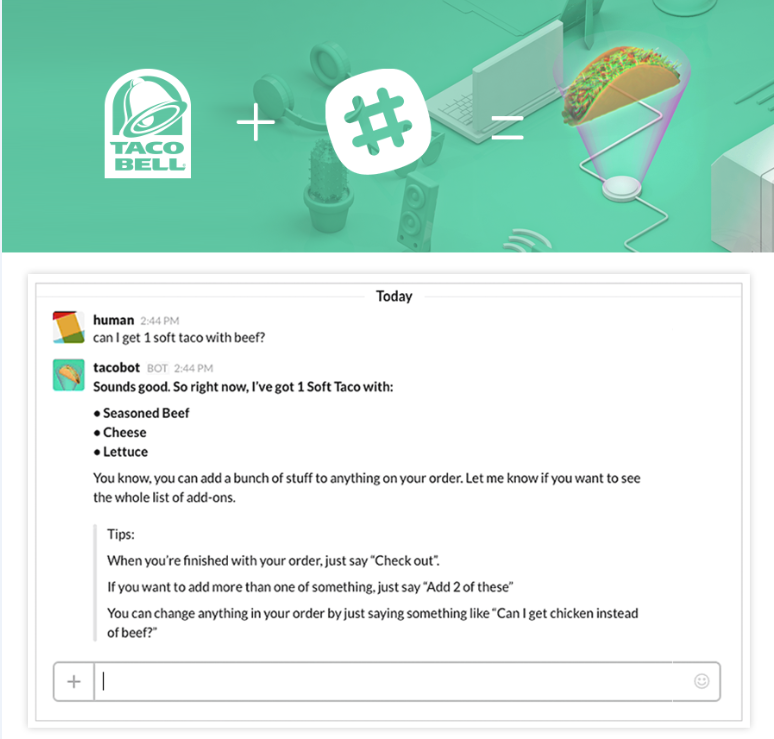 This popular chatbot deployed by Taco Bell allows customers to order anything on the menu without having to leave their Slack messenger. Customers can use this bot to even customize their order by adding or removing ingredients just like would do when they speak with a Taco Bell executive. Unlike the previous entrant in the list, Yoko is customer service chatbot and is the first such bot ever to be employed by Toshiba France. The bot is customized to handle common issues that users have about their electronics such as “I get no picture on my TV,” “my battery won’t charge,” and so on. When the bot is unable to provide an appropriate response, it is hard-wired to escalate the issue to a proficient customer support representative. 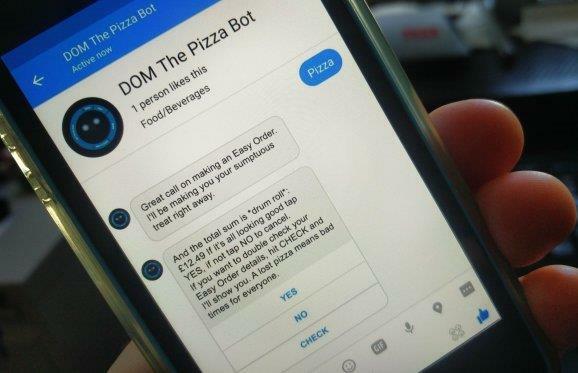 Just like the Tacobot, DOM is designed to help users effortlessly order anything on Domino’s menu. However, there is a small difference between Tacobot and DOM; while the former helps you place orders on Slack messenger, the latter helps you do the same on Facebook messenger. Also, the unique humour sense of this bot needs a special mention. 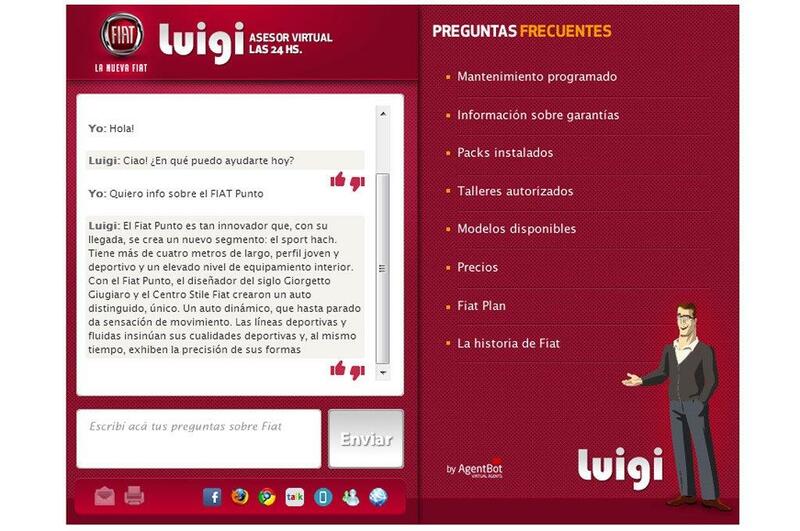 This multi-functional proactive (eliminates problems before they appear) as well as reactive (respond to events after they have occurred) chatbot is designed to help prospective buyers in making the right decision while choosing their Fiat car and provide support to car owners after making the purchase. Finally, we have the AceBot, which is essentially a Slackbot that is designed to help you upload invoices, track expenses, and so on. This bot can also be used as your personal task manager that helps you in managing tasks and collaborating with your teams effectively. As per experts, artificial intelligence should rather be rechristened as augmented intelligence. This is because these solutions are essentially designed to augments human effort rather than replacing it completely. Here, in the context of customer support, this means that we will be deploying an AI based system between your customer support agents and customers to augment support capabilities. This AI based system is designed to provide reply suggestions to customer support agents. This means that instead of starting to type from scratch, an operator can simply make modifications a suggested response and save considerable amount time. The USP of this system is its ability to mimic human operations using intelligence gained from past conversations. Another unique functionality of this system is its ability to integrated with your favourite chat tools. Leveraging machine learning and artificial intelligence, this unique system is hard-wired to improve the productivity of customer service agents by carry out the tedious tasks of pre-filling solution details and answering repetitive questions. The solution essentially integrates the computational power of machines with the human ability to empathize to provide top-notch customer experience. Developed by Amelia, IPsoft can be most aptly described as a digital AI employee that respond to customer queries within a chat. The USP of this solution is its ability to interact in a human way as opposed to some of the other AI chatbots, which continue to flaunt a robotic demeanour. At a time when customer expect quicker and more accurate services, marrying AI and customer support seems to be a perfect solution to meet the growing demands. However, bring about this holy union between AI and your customer support system, without leaving any rough edges, needs the expertise of a third-party customer support service provider with extensive experience in managing the minute intricacies involved in this marriage. Leveraging our 13 years of experience in the industry, we have developed a perfect strategy for deploying and integrating artificial intelligence in tandem with empowered agents and existing infrastructure. Not only this; by partnering with a premier software development company in the industry, we can also help of design and develop customized AI platforms that can take advantage of data mining and machine learning to enhance your customer journey. If you’re curious about how AI could be best implemented in your company, please don’t hesitate to reach out to us for a free analysis or discussion.